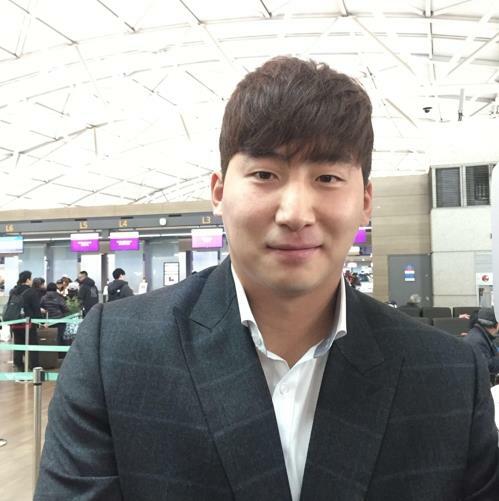 INCHEON, Jan. 30 (Yonhap) -- South Korean All-Star outfielder Na Sung-bum said Wednesday he'd like to get a chance to challenge himself in the majors. The 29-year-old veteran for the NC Dinos in the Korea Baseball Organization (KBO) will be eligible for posting after the 2019 season. Under this system, if Na is "posted," he can negotiate with any Major League Baseball (MLB) club interested in his services. 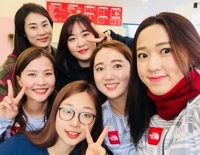 "I want to take on the challenge of playing in the majors, but it will have to be under the right conditions," Na told reporters at Incheon International Airport, before departing for Tucson, Arizona, for the Dinos' spring training. "And if the conditions are right, then I'll talk it over with my family and my club," Na added. Na could draw some interest as an outfielder with power and some speed. In six KBO seasons so far, Na has been a career .315 hitter. He has hit at least 20 home runs in each of the past five seasons and has reached double figures in steals in five of his six years. In 2018, Na batted .318 with 23 homers and 91 RBIs, for his fifth straight season of at least 90 runs knocked in. The former collegiate pitcher focused on hitting as a pro, and he still boasts a strong arm in the outfield. Na is already a client of uber-agent Scott Boras. And the Boras Corp. arranged a three-week training camp for Na in the U.S., under the watchful eyes of a personal trainer. "I could have worked out at home, but I wanted to get a taste of the American training system," Na said. "I had a great time. I tried to make the most of the three weeks I had, and I worked really hard there. I came back with more confidence." 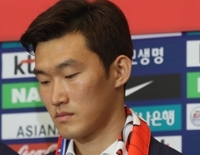 Na has been named new captain of the Dinos, which finished last among 10 clubs in 2018 after four consecutive postseason appearances. They have a new manager in place in Lee Dong-wook and made a splash last month by signing All-Star catcher Yang Eui-ji in free agency. "We hit rock bottom, and the only way for us to go is up," Na said. "I think people can count on us this season."